Thank you very much chair for inviting me to speak to you today and to present the recommendations that the International Crisis Group has developed to alleviate the Kurdish problem and help the Kurdish movement and the Turkish government reach a political settlement. Just a few words on Crisis Group. 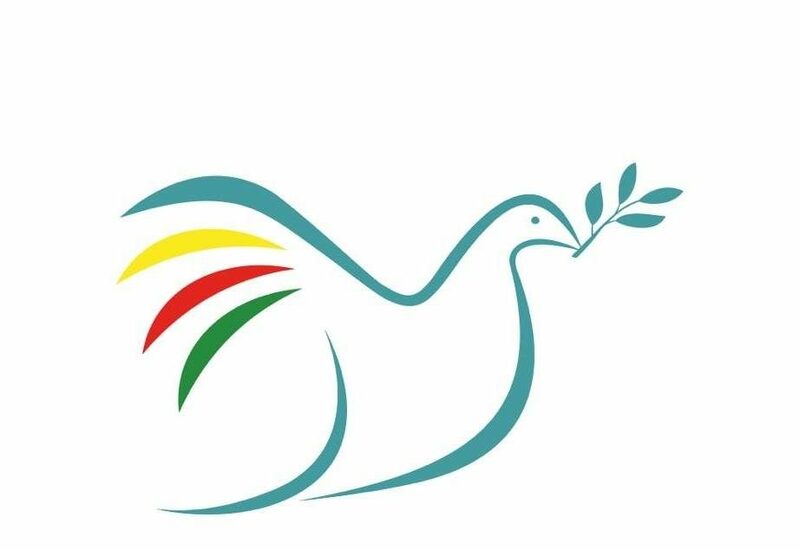 We were created in 1995 during the wars in the Western Balkans when several international policy makers felt that an organization that could give practical recommendations, based on field research, to alleviate and solve deadly conflict was needed. The head of our organization is Justice Louise Arbour, former UN High Commission on HR and Chief Prosecutor for the International Criminal Tribunals for the former Yugoslavia and for Rwanda. We work in about 65 conflicts around the work with some 150 staff. Our main advantage over other organizations is our field presence with about 30 offices around the world. Personally I cover the Europe program (the Balkans, Turkey and the Caucasus, North and South) and am based out of Istanbul, where I work with two other colleagues, Hugh Pope and Didem Akyel. Our only product is our reports – we don’t do any of our own activities, like organizing conferences or providing aid. We have written three reports on the Kurdish issue. The first was published in September 2011 and was entitled Turkey: Ending the PKK Insurgency, the second was published this September under the title Turkey: the PKK and a Kurdish Settlement and the last just came out last week and was on Diyarbakir. [I have a few copies if you are interested]. In all three of these reports we point a very worrying picture of the situation on the ground in Turkey. 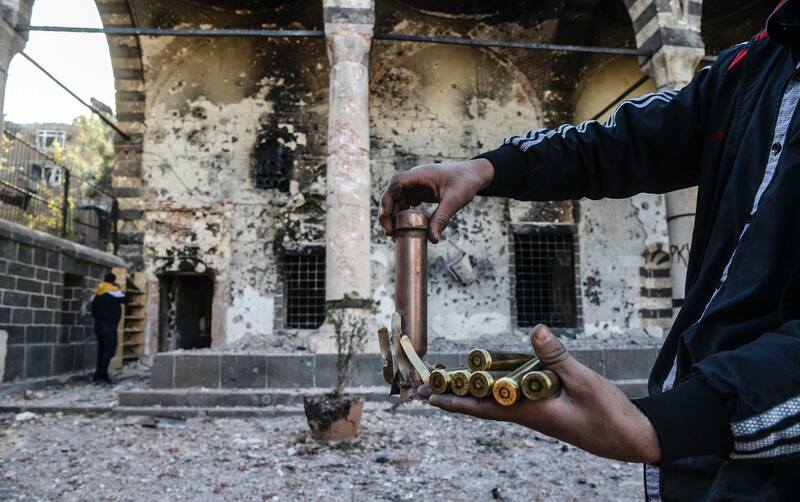 We are witnessing the worst casualties since Ocalan capture in 1999. We calculate that at least 870 people have been killed since June 2011, about 500 this year. I also work on the North Caucasus – Dagestan, Kabardino-Balkaria, Ingushetia – and the numbers of deaths are similar, though of course there the population is much smaller. Regrettably, in Turkey there seems to be a strong tolerance for the current level of violence amongst the government and the PKK. The violence re-started once the Democratic Opening ended in 2009. There are hard statements at leadership level. On govt side, ‘no Kurdish problem’, as if military solution possible. On the Kurdish movement side, major leaders – Cemil Bayik, “the time of armed struggle hasn’t ended.” Bahoz Erdal “who can talk of a ceasefire?” Duran Kalkan “we’re on the way to a military solution”. Many of the previous speakers have already talked about the abuses and violations that are occurring on the ground, the thousands of arrests, the military and terrorist attacks, and the polarization that we are witnessing in society. Clearly there is severe underreporting in the Turkish press on the violence, be it the deaths of ethnic Kurds or Turks. But is there now any real chance for negotiating peace? In two important ways the situation is more difficult than it was in 1999 or even in 2009. The domestic environment. Presidential elections in 2014 are certainly a factor. The political agenda in Ankara is now focused on this, not reforms or the EU process or even much about foreign policy. The Turkish prime minister has adopted more nationalist rhetoric in part to sway the MHP into supporting his plans to amend the constitution and create a powerful Presidency in the Republic. He also seems to have calculated that nationalism is more likely to get him votes than progressive politics. He must believe that there is little chance for him to get a bigger slice of the Kurdish vote than the AKP already has. The international circumstances. Turkey is much weaker in its neighborhood than it was just a few years ago. The idea of a “zero problem foreign policy” which was initially heralded in Turkey but also in Brussels is now the subject of some ridicule. Despite its strong statements, on Syria for example, Turkey is increasingly looking like the emperor without clothes. On the other hand, the PKK feels empowered. As others have explained there is talk and real signs of Kurds throughout the region uniting, flexing their muscles, and showing their ability to self-govern. The situation risks spiraling out of control. There is an urgent need to start implementing comprehensive series of reforms to rebuilt trust and confidence that a political solution to the conflict is doable. Let me stop here and share a story with you. Last week in Istanbul I was talking to a group of students – Turkish, foreigners, a Kurdish woman — at Bilgi University about conflicts in Europe. I gave them the examples of Kosovo-Serbia, Nagorno Karabakh (the conflict between Armenia and Azerbaijan) and Macedonia. I choose these examples because I wanted to show them the different options for a settlement. In the Kosovo case: the solution was a unilateral declaration of independence. Kosovo is now recognized by over 90 countries. But it still requires recognition by Serbia to gets its full international personality and UN membership – now it does not have its own postal code, Olympic team or even access to European green card car insurance. In the Nagorno-Karabakh case: there is still no solution and there is a high chance of war between Armenia and Azerbaijan which could also pull in Turkey and Russia. If you are Azerbaijan you consider that Nagorno-Karabakh is occupied, if you are Armenia you think that it has expressed its right to self-determination. But it is not recognized by anyone and lives in complete limbo since 1994. Kosovo which has largely been a success in terms of independence, and Nagorno-Karabakh which has not, demonstrate the difficulties of any solution which is based on UDI – unilateral declaration of independence. Now the third case that I discussed Macedonia – also has its problems, there are still fights between ethnic Macedonians and Albanians in the country – but it is also a country that [despite a very different but serious problem with Greece regarding its name] has made tremendous progress since 2001 when the war there stopped. It has succeeded to secure peace by implementing the Ohrid Agreement which provides significant rights to the approximately 20 percent ethnic Albanians: right to schools in mother tongue (including a university), significant decentralization and powers to local municipalities, and fair distribution of positions to Albanians in governmental institutions (ex ministries). Today an ethnic Albanian party is even part of the governing coalition – the Minister for Europe is ethnicAlbanian. For me, looking for a political resolution to the conflict in Turkey, Macedonia offers elements that we should be focusing on and trying to make relevant to the local situation. This should be feasible in Turkey. Four things to do. Mother language, political representation, decentralization, end of discrimination in laws and constitution, including those that help keep thousands of activists in jail for years at a time. Some are harder than others to do in practice. Amongst ethnic Turks there’s a lot of suspicion that the Kurds are asking for an inch but want an arm. Among Kurds there is a belief that the government is using salami tactics, giving too little too late. So instead we need a comprehensive set of reforms – a real conflict resolution strategy. The government is still by far the strongest party, must set the tone. Must show more courage in the past, must plan what it wants thoroughly, must sell the policy. KM must also clarify what it wants. Lack of transparency just makes mainstream Turkey think that it’s not being transparent.. The KM must stop its efforts to create a parallel government or seek for PKK insurgents to overnight become self-defence militia. This is for the demobilization stage, but when it comes, the Kurdish movement has a point that a settlement has to include thinking through what happens to the Village Guards. The government should continue with its steps to make the use of mother tongue more open. Its offer to start with elective courses in schools should not be rebuffed but seen as a first step to full access to education in Kurdish languages. The government should plan ways for Kurdish to find its place in all aspects of public life in Kurdish-speaking areas, schools, municipalities, courts and business life. In its effort to pass a new Constitution, the government should remove articles that could be seen as discriminating on the basis of ethnicity, mainly due to the way the word “Turkish” can mean both “citizen of Turkey” and “someone of Turkish racial ethnicity”. The government should remove the 10 per cent electoral threshold required for a party to enter parliament, to at most 5 per cent, and the bar for state support for national parties which is currently at 7 per cent of the national vote. It should also treat the BDP as a real counterpart in Parliament and stop threatening its MPs with lifting of their immunity. The government should also change the Anti-Terror Law, Penal Code and other legislation to end the practices of indefinite pre-trial detention and prosecution of thousands of peaceful Kurdish movement activists as “terrorists”, and ensure that non-violent discussion of Kurdish issues is not punished by law. And finally especially within the context of constitutional change, if a stronger presidential system is seriously being considered, the government should open a debate on decentralization and stronger municipal governance. None of this is going to be easy but delaying is an even worse option. Erdogan has almost unlimited power now. No elections for two years. The regional situation is likely only going to get worse. If Turkey feels vulnerable to events in Syria, it must secure its position by anchoring the majority of Kurds on its side at home. The last year has shown that there is no way for Turkey to achieve critical changes either by soft or hard power in Syria. A ceasefire is not vital but it would help build a lot of trust all around if the PKK stopped or reduced its attacks. The Government should engage the Kurdish movement. 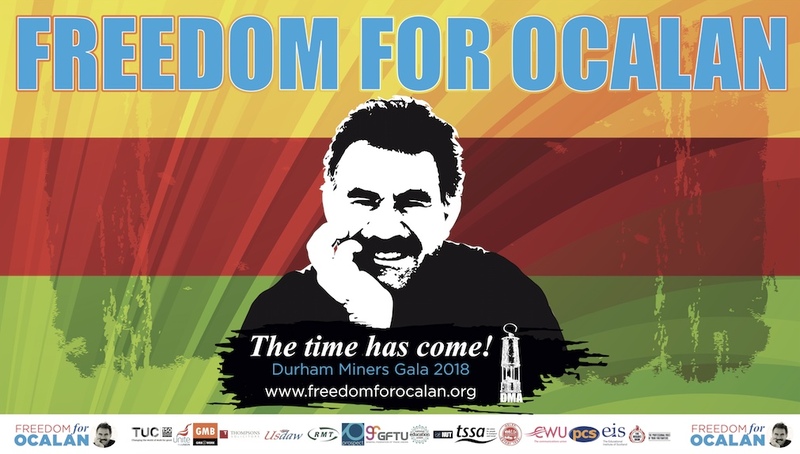 Allow lawyers to see Ocalan. But negotiations with the PKK are not necessary. Disarmament and demobilisation can come later. Right now, Turkey needs to get its basic framework in order.